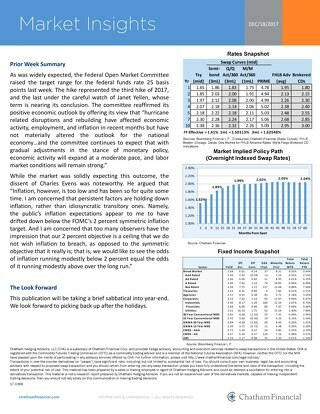 As was widely expected, the Federal Open Market Committee raised the target range for the federal funds rate 25 basis points last week. The November jobs report surprised to the upside on Friday, as the Labor Department reported that non-farm payrolls rose a seasonally adjusted 228,000 for the month, after rising 244,000 in October. 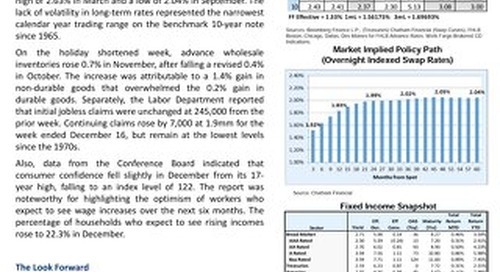 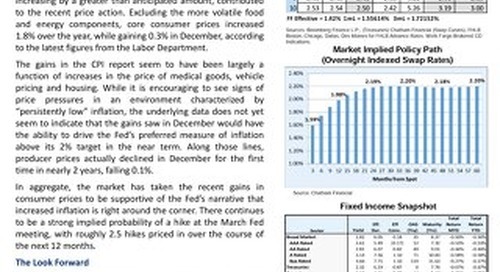 The curve reversed its relentless flattening trend last week, with a modest steepening move led by weakness in the belly of the curve. It was another extraordinarily quiet week on the economic front, as the data calendar was sparse in advance of the Thanksgiving holiday. It was an extraordinarily quiet week on the economic front, as the data calendar was sparse in advance of the Veterans Day holiday in the U.S. It was a week of positive developments on the economic front, culminating with the October jobs report which detailed a 17‐year low in the headline unemployment rate.